Carlos Ruiz Zafón's The Midnight Palace and The Prince of Mist show moments of promise, and yet. . . 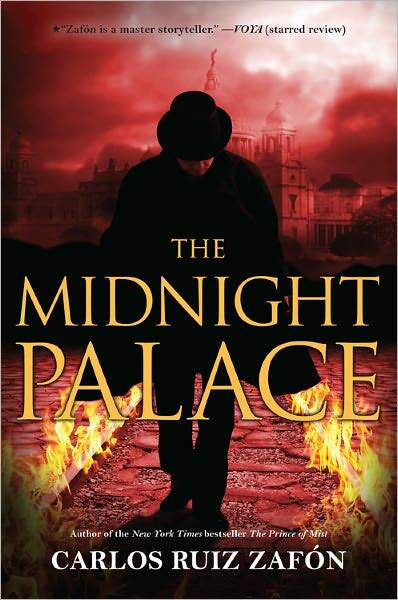 I bought Carlos Ruiz Zafón’s The Midnight Palace and The Prince of Mist because I loved The Angel’s Game and The Shadow of the Wind so much. But The Midnight Palace and The Prince of Mist are disappointing. The most fascinating thing isn’t their generally low quality, however. It’s the moments when the later Zafón pokes through, showing what’s to come. I left The Prince of Mist and The Midnight Palace at my parents’ house, and when my Dad started reading one, he stopped and mentioned how awful they were. But they have moments where Zafón shows what he’ll later become—where he describes places, engages and rewrites cliches, talks about shocking family secrets, reveals the semi-supernatural villain. Unfortunately, cliches dominate, the writing is flat, and characters hold the interest of small-town human interest stories. But his later work gets those things right. I wrote a whole post describing why the young adult novels are bad and pointing out the germs that later sprouted into his stronger, later work. But you know what? All those examples don’t matter. The books are weak for all kinds of reasons that are obvious on a first reading. I deleted all my earlier commentary because I realized that Zafón is an example of an experimental artist, as defined by David Galenson in his fascinating book Old Masters and Young Geniuses: The Two Life Cycles of Artistic Creativity. Zafón’s books are important only because they also show the danger of assessing an author based on a single work: Zafón’s young adult novels came out before his later, better novels. If I’d read them first, I doubt I would’ve read what came next. Fortunately, however, those books weren’t translated until after Zafón became successful. In Galenson’s distinction, experimental artists tend to grow slowly; their early work is very seldom considered their important work. By contrast, Galenson describes conceptual artists who tend to do important early work that totally redefines their field; their later work tends not to have the punch it might otherwise have. Experimental artists often don’t have a single defining work, but rather a large body of production that often feels like a unified whole. Conceptual artists often have one or a small number of significant works. The theory is much elaborated from this unfortunate sketch, which naturally loses many of the details that make Galenson good. But you can graft his analysis directly onto Zafón. If I thought the earlier books were worth the effort, I would take your time and mine to do a major compare and contrast between them. They’re not, however. What is important is the lesson one can draw about not prematurely judging a writer based on premature work that might not show the late emergence of talent based on experience and extensive effort in a field. I’m not going to read Zafón’s other young adult novels; he wrote four prior to The Shadow of the Wind. But when his next novel in the Shadow of the Wind and Angel’s Game sequence emerges, I’ll gladly clear the decks to read it.